Our travels often influence both my own personal style and my knitting; but no trip was more inspiring this way than our 10 day sojourn in Turkey. In the spring of 2011, we had planned to visit friends teaching in Cairo. Fortunately, we looked at our tickets, and decided that our 48 hour layover in Istanbul could be easily extended to fill the entire trip. After long negotiations with Turkish Air (I’m reasonably certain at this point that our travel agent winces when we call) and extensive perusing of our Lonely Planet, we had a new itinerary. 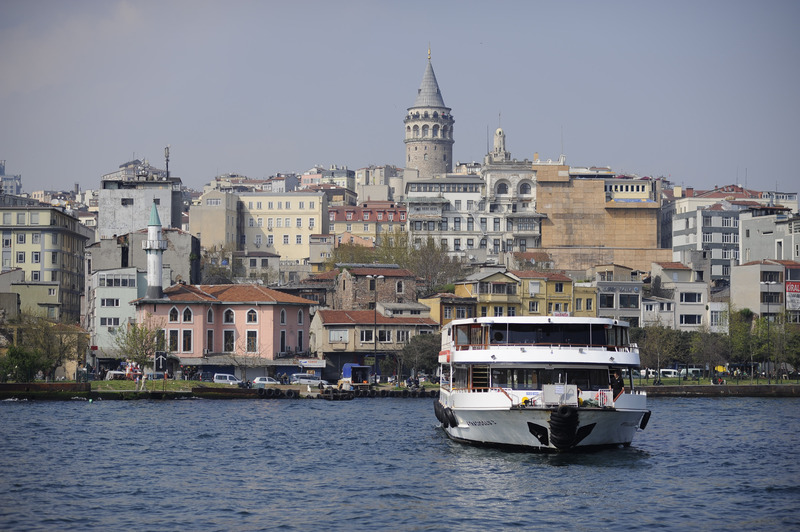 Our friends met us in Istanbul, and we spent 10 days in what has become my favourite travel destination. Our trip was limited to Istanbul and the surreal landscape of Cappadocia, but the seacoast and East remain on my bucket list! 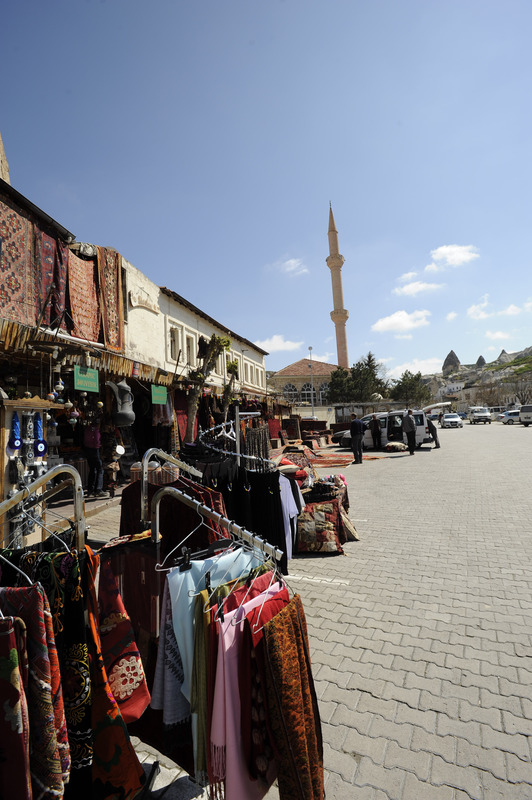 Turkey is a feast of colour and texture for fashion and textile lovers. The streets, clothes and buildings are a wash with soft yellows, oranges, blues and greens. As a knitter, the gorgeous chaos of Istanbul’s bazaars was awe inspiring. Sandwiched between piles of pottery in saturated mosaics, and artfully arranged spices from across Asia and the Middle East are some of the most beautiful, hand crafted textiles and accessories I have ever seen. On the way home, our bags were packed with scarves in pinks, greens and turquoises for our moms and friends, and colourful silk ballet flats and earrings. A rug was mostly definitely not within my maternity leave budget, but I went home dreaming of thick, handcrafted swirls of burgundy and gold to rest my feet on. 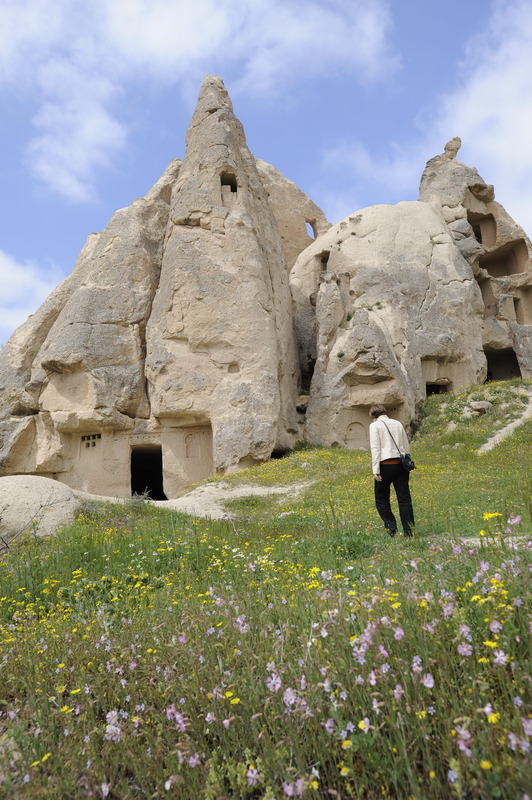 Turkey is geographically quite spread out, but domestic flights are very reasonable, and we were able to escape the bustle of Istanbul, and visit Cappadocia. A long history of bizarre geology (the fairy chimneys) and human habitation make it a fantastic place. 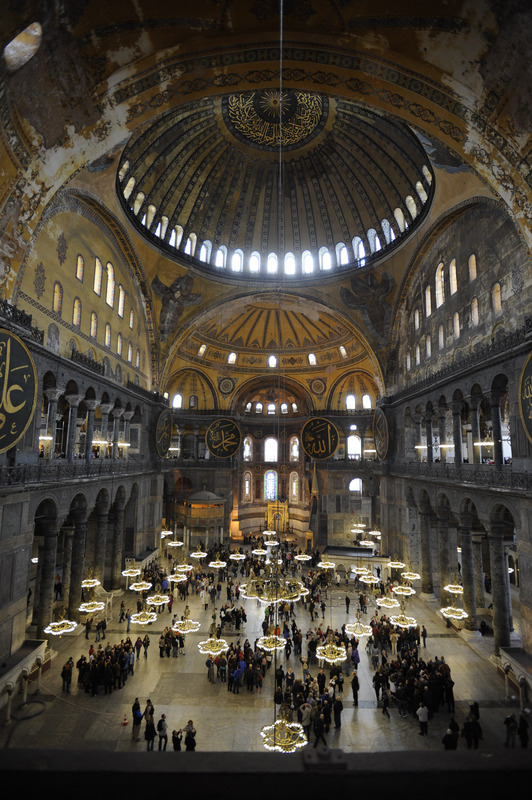 People are extremely friendly, the food is terrific, and everything is waaaaay cheaper than Istanbul. If you make it to Cappadocia, do not miss the eight story underground cities, used by ancient Christians to hide from Romans, or the magnificent local cuisine – I’m still dreaming about the tomato soup! Since the trip, I’ve thought about designing a scarf pattern inspired by the intricate colourwork of Turkish rugs and scarves, but may, in the end, have to leave that to the experts. However, one of my favourite yarns has given me an outlet for all of this Turkey love: Noro Taiyo. 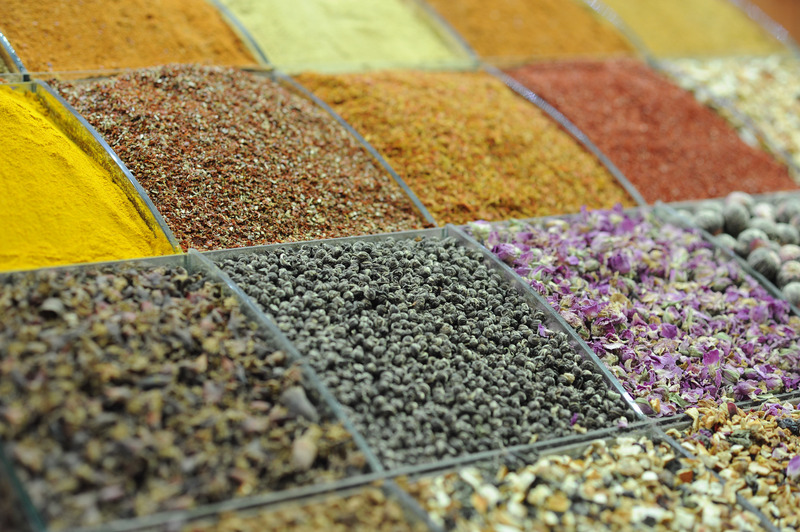 The combinations of earthy and saturated colours bring me back to the Spice Bazaar, and the uneven, organic texture is reminiscent of Cappadocia’s surreal hand carved architecture. Since coming across this yarn shortly after our trip, I’ve been using it everywhere. 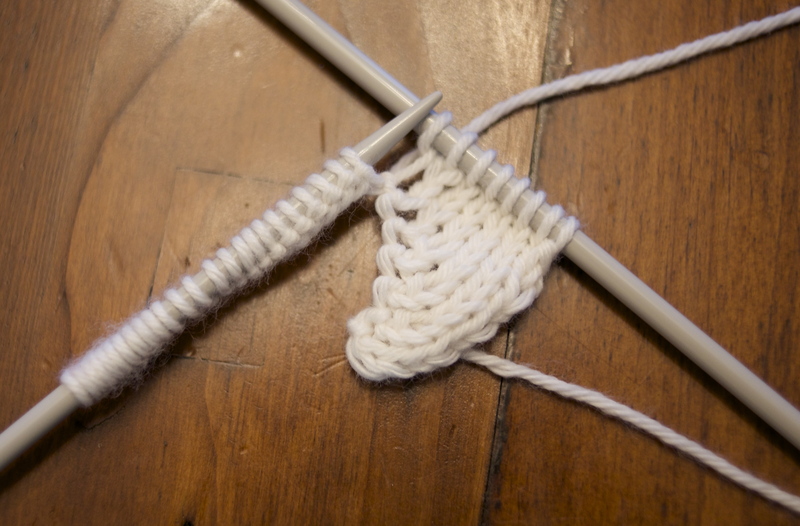 The yarn itself can be frustrating to work with. 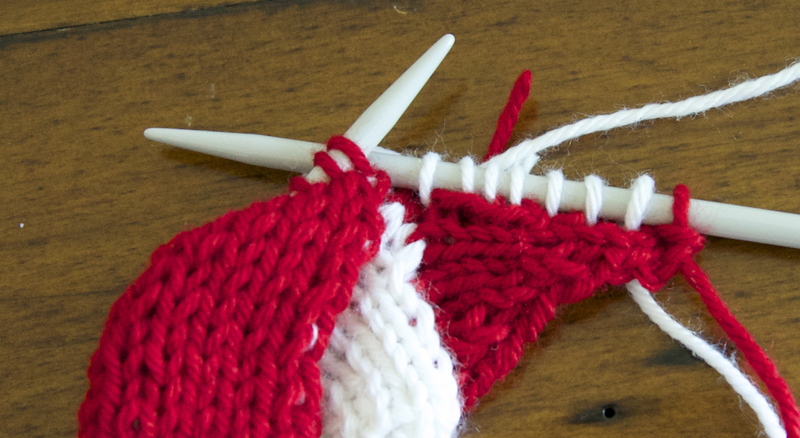 It’s thickness is purposely inconsistent; which can give your work a beautiful organic texture, but can also be an absolute pain when a particularly slim section pulls apart in your hands (full confession: I’m a tight knitter). Each multicolour colourway contains a clear outlier, a colour that looks nearly ugly in its contrast to the rest of the yarn. 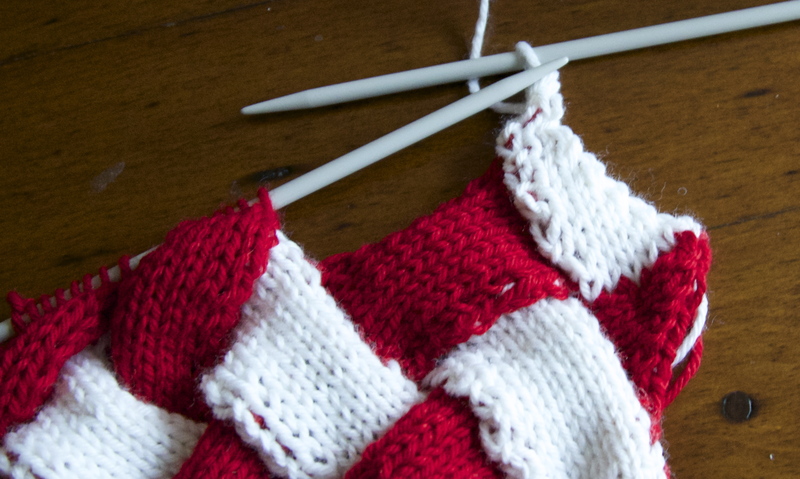 In the right project, the outlier makes the entire work more beautiful, but it in the wrong project, it can make an intricate pattern or adult sweater look plain wacky. My top Noro successes have been relatively plain patterns that embrace it inconsistency and 70’s colourways. 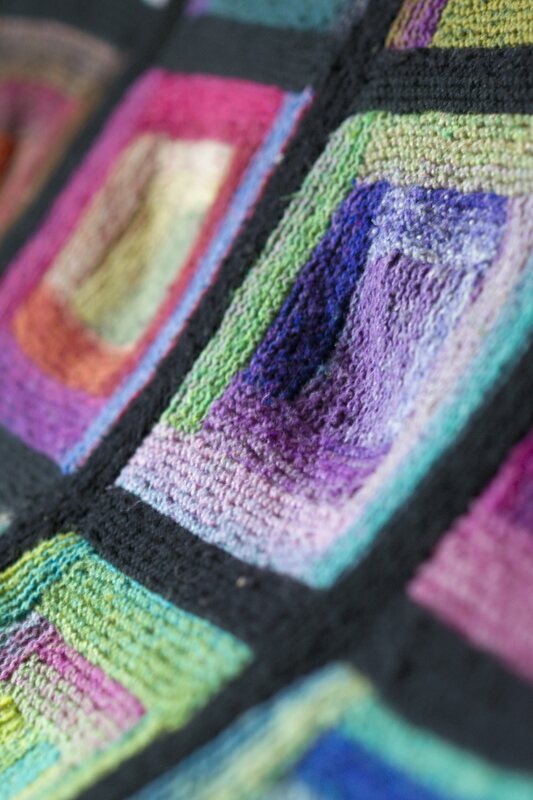 The Paintbox Log Cabin blanket (available for free at Katherine Keyes’ blog: Get Your Hook On) was designed with Noro in mind and it shows. This blanket took months to make (and upwards of $100 in yarn), but was worth every minute and penny. Katherine Keyes used Noro Kureyon, while I used Noro Taiyo, it is less expensive per yard, and a little easier to care for. 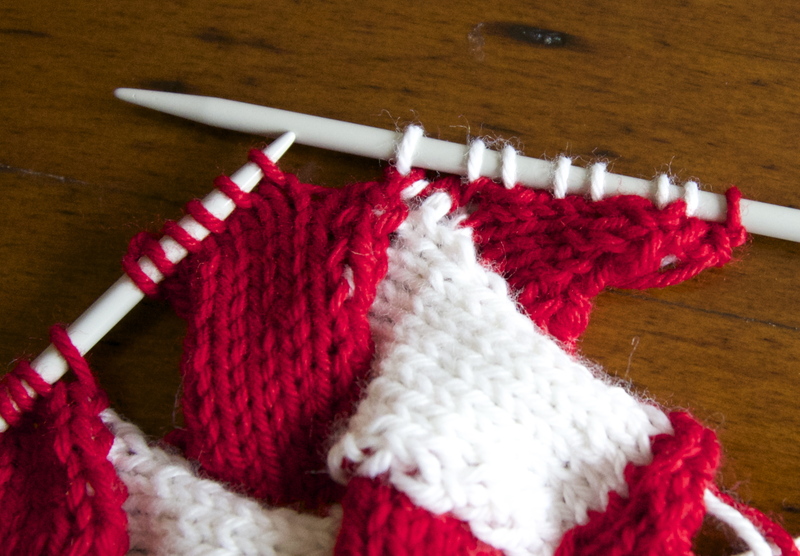 This caused a major overestimate in the number of skeins required, and I’ve been experimenting with remainders ever since. 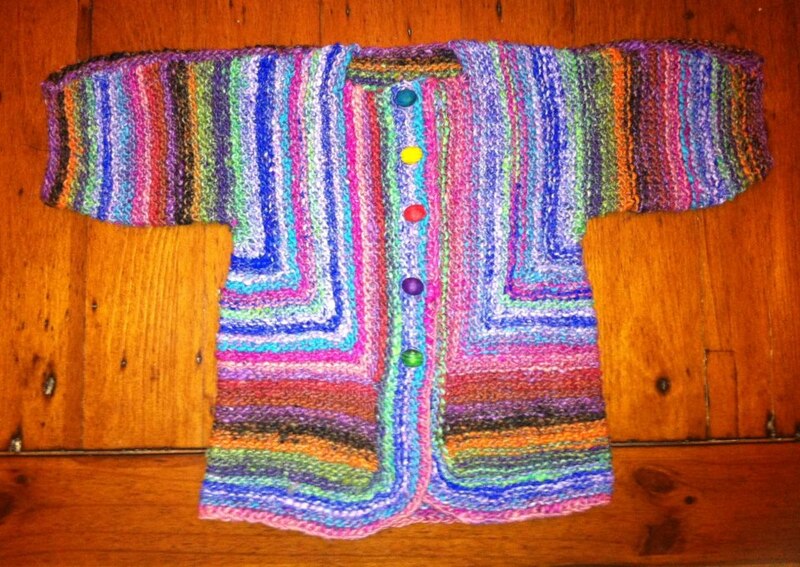 Elizabeth Zimmerman’s Baby Surprise Jacket has eaten up a few of the leftovers. 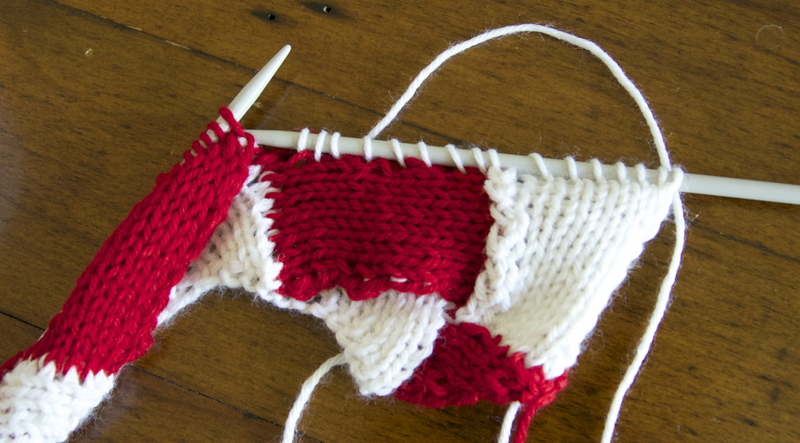 I used the 1968 pattern to make one for each of my two year old nieces, on 5.5 mm needles, it’s a perfect fit. 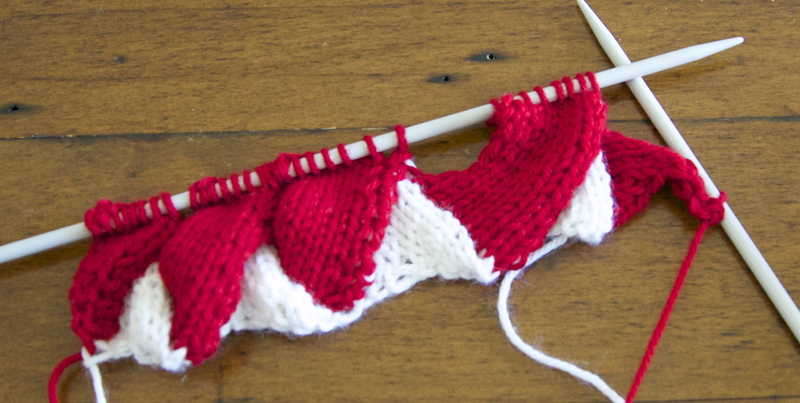 The pattern is technically really easy, but difficult from a reading comprehension perspective, and I highly recommend the 6 episode YouTube videos for anyone unfamiliar with her patterns. It’s knit in one very strange piece, with a single pair of seams across the top of the shoulders. The wacky colours and uneven texture make for really beautiful, obviously retro sweater. The great thing about toddlers is that they can get away with a fashion statement this bold! Finally this really simple Entrelac cushion cover is now a staple in our living room. 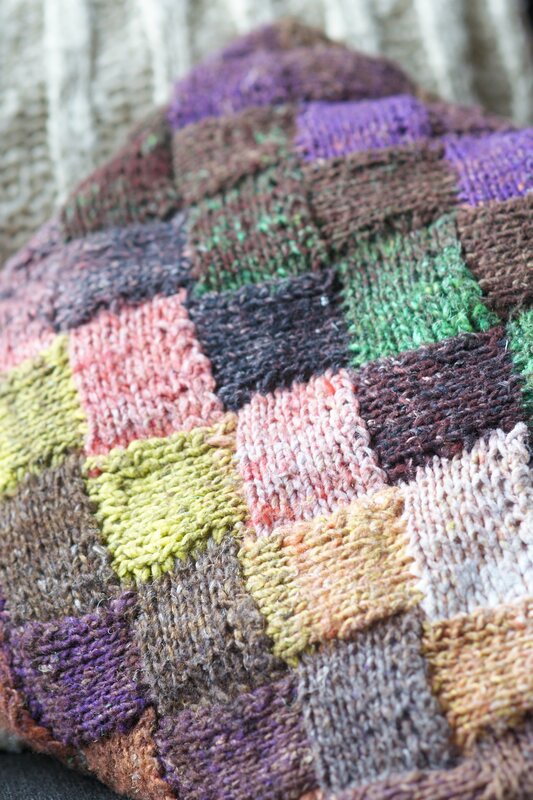 The variety of Noro colourways makes it easy to match any couch, or living room and I’ve since knit cushions for half the family. This entry was posted in Travel, Yarn and tagged blanket, Entrelac, inspiration, Noro, sweater, travel, Turkey, yarn on October 26, 2012 by lisagono.